Good lighting can make a space! In this design, the dramatic ceiling fixture takes the eye up! It gives overall room illumination and a modern vibe. The floor lamps provide accent lighting. They're fixed on either side of the sofa. With lighting, the room is both traditional and modern. 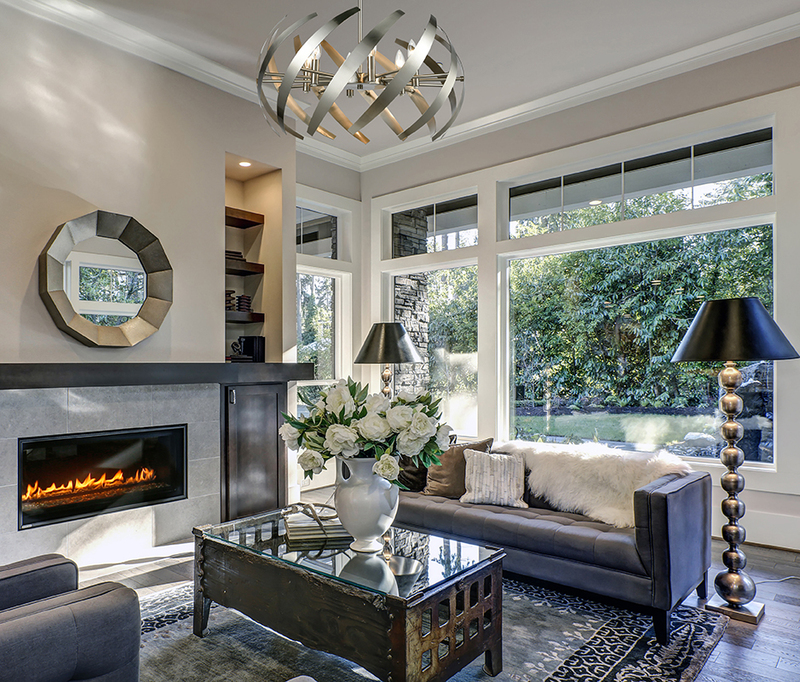 Let us assist you in designing a space that reflects Modtra...modern and traditional.